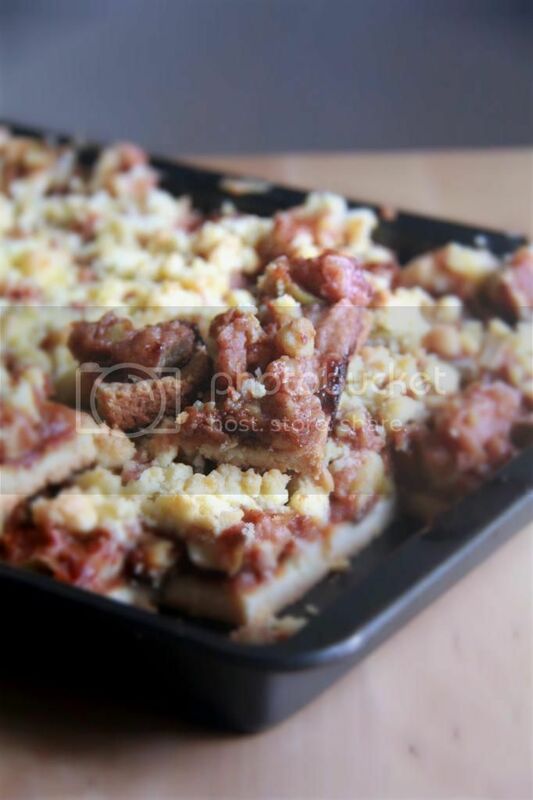 Crumbs and Cookies: salted caramel apple crumble bars. 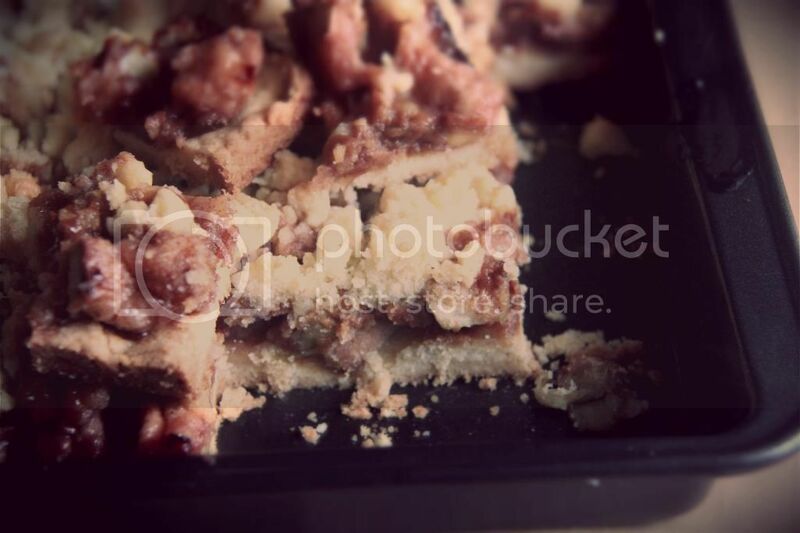 salted caramel apple crumble bars. Hands down the best apple crumble I have ever eaten. Usually, the apple filling of apple crumble tastes so bland. I mean, you taste apple apple apple but that's pretty much it. It's monotonous. And because green apples are not exactly on my favourite foods list, it was so hard to find an apple crumble I actually liked. Plus, most store bought apple crumble have soggy crusts. You know what they say, if you can't find one that you like outside, make it yourself. These bars have an apple filling so rich and flavorful that they threw me totally off guard. I also liked that the filling wasn't too liquid and messy. All my previous disappointments with apple crumble lowered my expectations for a really good rendition of this dessert. What sets these bars apart is the salted caramel sauce. Most recipes just mix the apples with brown sugar as the sweetener. That's okay, but not enough for me. Salted caramel sauce adds a ton of caramelly flavour without making the bars too sweet. I'm not partial to green apples but they worked really well here. I rarely make such a big pan of dessert. I usually divide recipes that call for 9 x 13 inch pans by four to fit in my loaf pan. Strangely, instead of being disconcerted from such liberal use of butter, I enjoyed portioning out an entire cup's worth of it. It was also fun to drizzle caramel sauce over such a large surface area. Your movements become a lot less restricted. I was initially worried that the base would become soggy because of the juices of the apples so I pre-baked it for 15 minutes, until the top was a light brown. The crust of my bars managed to escape the soggy horrors even 12 hours after baking. The original recipe also instructed to divide the dough into half- half for the base and half to crumble on top. But I found that such a ratio left the bottom with such a thin layer of dough. I think it's better to divide the dough such that the bottom crust takes 3/4 of the total amount. Another change I did to the recipe was to omit the vanilla and cinnamon from the dough because I wanted something straightforward to go with the very complex apple filling. Personal preference. I used brown instead of white sugar in the filling, and used less too. 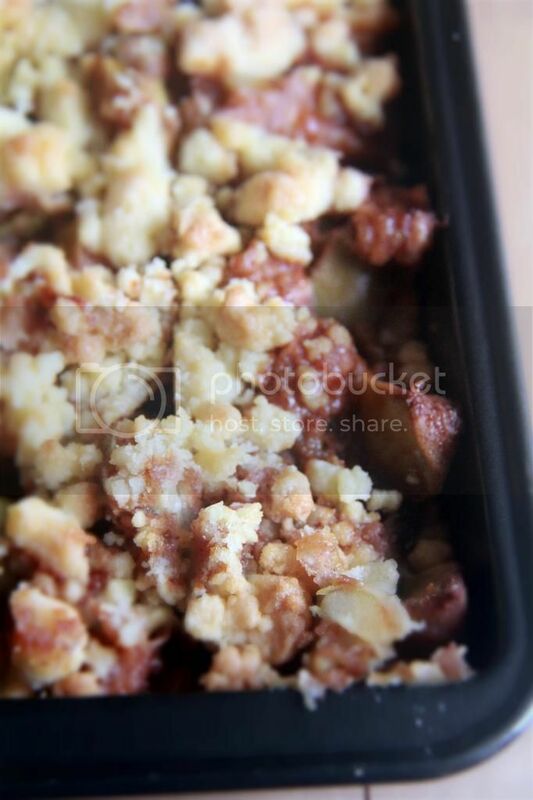 If you need a life-changing apple-crumble-hater-converting apple crumble recipe, here you go. And you're welcome. This caramel sauce recipe uses less heavy cream and makes up for the missing amount with evaporated milk, a dairy with lower fat content. As such, the overall fat content in this sauce is lower and is able to remain liquid and pourable even when refrigerated. For the salted caramel sauce: Combine the heavy cream and evaporated milk in a small bowl. Heat the sugar over medium-high heat in the bottom of a large saucepan until the sugar has liquified and turns into a deep amber colour. Make sure you swirl the pan occasionally to promote even caramelization of the sugar. Off the heat, slowly stream in the milk mixture while whisking quickly to prevent the caramel from bubbling up too much and overflowing. Add the butter and and salt and stir to combine. Cool the caramel completely before using. I suggest that you make this the day before. For the crust: Mix the flour, sugar, baking powder and salt in the bowl of a standing mixer. Add the cubes of cold butter and on low speed, mix until the mixture resembles fine crumbs. Add in the egg and mix until the dough starts to clump together. Take 3/4 of the dough and press it into the bottom of a greased and floured 9 x 13 inch pan evenly. Chill in the fridge or freezer while you preheat the oven to 350F. Store the remaining 1/4 of the dough in the fridge as well while you prepare the apple filling. For the apple filling: Combine the diced apples and lemon juice in a large bowl and toss to coat the apples. In another bowl, mix the flour, cornstarch, brown sugar, salt, cinnamon, nutmeg and allspice together. Pour this mixture over the apples and carefully combine. Bake the crust for 15 minutes or until the top is lightly browned. Pour the apple filling over the crust and drizzle over the salted caramel sauce. You will only need 1/2 to 3/4 cup. 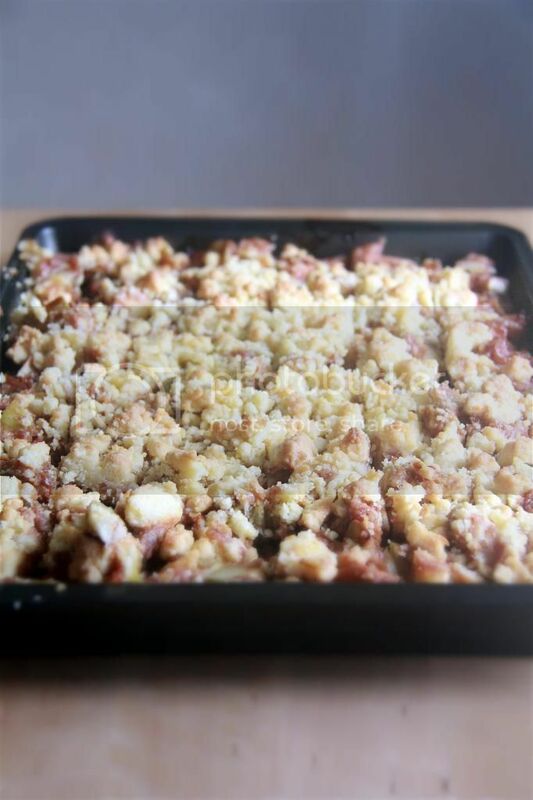 Crumble the remaining dough over the apples and bake for 40 to 45 minutes or until the crumble topping has browned and the apples are soft. Cool completely before slicing. I made the caramel sauce, but it came out very very runny. I was expecting a thicker consistency. Do you have any recommendations for getting the caramel sauce thicker? I'm using it for your Salted Caramel Filled Chocolate Cupcakes with Vanilla Cream Cheese Buttercream and Pretzels. peanut butter pretzel chocolate cake. coconut cream coffee cake buns. chocolate chip cookie dough cheesecake bars. peaches and cream swiss roll. chunky apple and cream cheese bundt cake.